It’s just a day until auction day on July 27, and The Block agents are already duking it out over who has the best apartment and the best sales campaign. We contacted all five real estate agents representing the contestants and asked them the same three questions. How will your experience set you apart from your opposition when marketing Alisa and Lysandra’s apartment? We have had a long association with top end luxury apartments and properties. This sector is very specialised, and our previous involvement in this market gives us an insight into what buyers are thinking and looking for when they are purchasing in this price range. What is the quote price on the property? We are quoting $1.2 million plus. There have been a diverse number of buyers showing interest in the apartment. Empty nesters, young professionals and even a proportion of families have all shown their appreciation for the 3 bedroom apartment. Investors have also taken interest because of its depreciation benefits and the fact that it can be bought and rented immediately, fully furnished. Why will Unit 1 win? 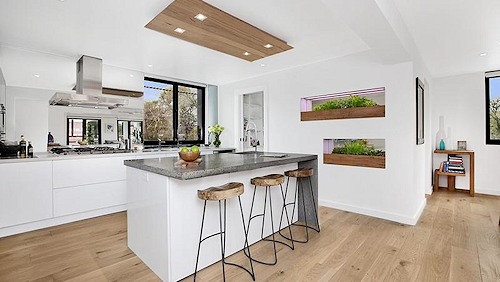 The girls won most rooms and money in The Block Sky High competition and this has been translated into a significant proportion of their build – through their high end SMEG kitchen appliances, coffee machine, $6000 to $7000 Zip taps and polished concrete kitchen bench top. We have had a great response from the buyers on the kitchen, finish quality and resort style bedroom and bathroom. The park view, quality of the build and the terrace will be the difference come auction time. How will your experience set you apart from your opposition when marketing Matt and Kim’s apartment? I have a background as a chartered accountant and stockbroker, and I can demonstrate to my clients that Matt and Kim’s apartment is an outstanding investment. I bring a real difference to my clients and the public through my business Morgan Realty. My chartered accountant background allows me to show my clients a 10% yield even if the property sold at $1.4 milllion with the depreciation schedule we have. We have engaged the services of BMT Tax depreciation who have compiled a report for the apartment, and we have also requested a rental appraisal from a property management company. Our quote price is not rubbery. We expect the apartment to sell between $1.3 million and $1.4 million and we are happy to make our authority open to the public. At a per square metre rate you won’t buy better with this opulence and expense. Why will Unit 2 win? All you have to do is accumulate the judges’ score; it’s been the highest in The Block history. Design guru Noel Whitaker said in one of The Block Sky High episodes that the penthouse has moved to level 2. I believe our apartment is just superior – the workmanship, finish, tiling and licenced production furniture is all truly 5 star. We have had a lot of interest from investors and empty nesters looking for a city lifestyle pad with trams, cafes and restaurants at their doorstep. How will your experience set you apart from your opposition when marketing Bec and George’s apartment? Having sold Dan and Dani’s property on The Block last year, we knew what to expect this time around. We have given Bec and George advice during the whole build and believe our experience with selling a number of apartments in this price bracket around Melbourne has helped the campaign. These apartments are very unique so it’s very difficult to compare them to any recent sales, but we expect a selling price between $1.3 million and $1.4 million on the day. There will be some hype from the TV show and we consider that an external force that could positively influence the price. The property will appeal to investors, people downsizing, or families and singles with a teenage child. As the property is fully furnished and everything is of such high quality there is great depreciation potential for anyone thinking of buying it as an investment. Why will Unit 3 win? I firmly believe the Bec and George’s apartment is the most liveable when you go through the entire unit. Our approach is that we have our feet on the ground and we see Unit 4 as our biggest competition. The order in which the apartments will be sold will also have a bearing on how successful the auction and the bidding goes on the day. Also where the judges set the reserves on the properties will have an impact on the outcome. The feedback from the public so far was that the living areas in George and Bec’s apartment are more open, lighter and liveable. 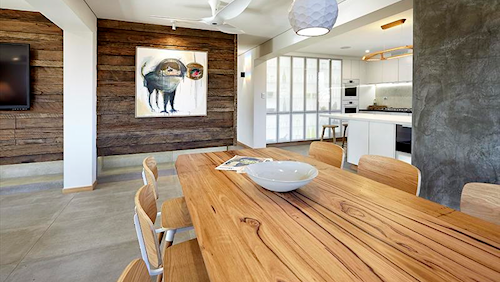 The property has a greater appeal to a broader range of people and buyers. How will your experience set you apart from your opposition when marketing Madi and Jarrod’s apartment? We were the only agents who sold a property on the day in Richmond [Mr Cambridge represented Polly and Waz at 9 Cameron Street, Richmond in 2011]. 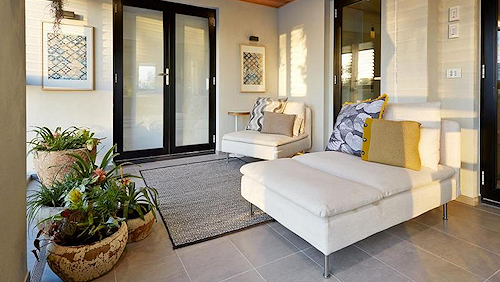 We knew the reserve prices set for the properties were ambitious, but believe our preparation with buyers and our marketing campaign helped Polly and Waz achieve the only profit of $15,000 on the day, and the overall winner’s prize of $100,000. It’s a very rare situation on The Block, so to quote prices, especially when we don’t know the reserves at this point in time, can be challenging. Our quoting range is quite wide at the moment; at between $1.0 million and $1.5 million until we know the reserves. Why will Unit 4 win? Madi and Jarrod’s unit is more mainstream than the rest and more consistent throughout when compared to the other apartments. The contestants and organisers should be commended on the overall quality and finish of the building, it is beautifully done. On another note, our involvement with The Block will also give us an opportunity to promote our charity – Heart Kids Victoria. That’s where our fees are going to be donated. 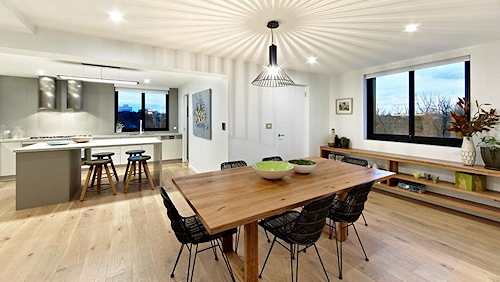 How will your experience set you apart from your opposition when marketing Trixie and Johnno’s apartment? As one of the largest local agencies, we’ve sold a number of properties priced above $1.3 million in and around the Albert Park, Port Melbourne and South Melbourne districts. 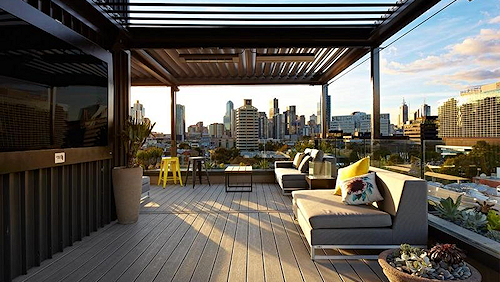 We feel that we have buyers in demand who are suited to Trixie’s and Johno’s penthouse. What is the the quote price on the property? With a quote range and expected competition of $1.3 million, we feel that we have a greater pool of buyers in that price bracket that we can work with. It’s virtually impossible to pay too much for such a unique property with so much appeal. We believe the property will be suited to the lifestyle buyer – professional couples and those looking to downsize because of its proximity to the beach, Clarendon Street cafes and shops. Why will Unit 5 win? In our opinion Units 4 and 5 are in different market to Units 1 and 2. We believe the finish and special features in our client’s apartment, the raised door heights, in-floor heating and the quality of the finish will help it stand out from the rest of the apartments. None of the units currently have cooling systems or Foxtel and Unit 5 has provisions to install both of these in the future. Property Style and Goss > How Much Will The Block Sky High Sell For? 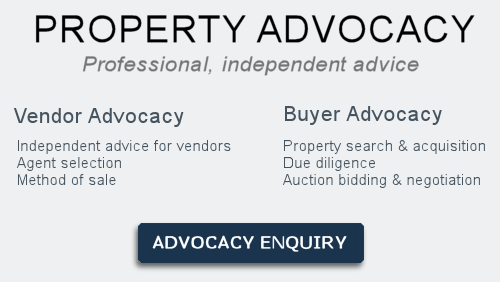 I have no idea how and decent agent can quote prices for a property going to auction. I don’t think it is appropriate to provide price guidance. I have been selling real estate since 1993 and a priceless marketing campaign like an auction should be run as such. Buyers should be the party that is responsible for doing due diligence in determining the current price. They should engage valuers and agents should provide guidance to the seller through recent comparable sales and current buyer feedback in determining the reserve. By quoting you taint the property by pidgeon holing the property instead of allowing market forces and negotiation on behalf of the vendor to extract the highest possible price. What is the point of having an auction which should be an open forum for willing buyers and sellers to determine the price. By all means talk about superior or inferior comparable sales but guiding buyers? I just don’t think it is right. If I were selling my own property I certainly wouldn’t want my agent to telegraph price in case it prevented me from obtaining a premium far and above what is being quoted. Why eliminate a few emotional and competitive buyers. Perhaps it is just bait advertising too whereby the real value is 1.6 or 1.7m and the talk is to feed the great which is also in my opinion inappropriate to deliberately quote a low price. Anyway, we will see….